Economy of the Covenants Between God and Man (2 volumes): This, his magnum opus, is a reflection of some of the most fruitful and mature thinking on federal theology during the seventeenth century, and still holds a preeminent place in our own day. Reformed theology has always understand the biblical doctrine of the covenant to be the theological framework which best unifies Scripture, making it a consistent hermeneutic. In this work, Witsius, presents the reader with a fully biblical and experiential doctrine of the divine covenants; opening up their nature, stipulations, curses, and blessings. Anyone interested in Reformed theology should read this book, for it is Reformed theology at its best. Sacred Dissertations on the Apostles’ Creed (2 volumes): In this work Witsius exemplifies his own principle, that ‘he alone is a true Theologian, who adds the practical to the theoretical part of Religion.’ A marriage of extraordinary intellect and spiritual passion, this phrase-by-phrase exposition of the Creed seeks always to apply Scripture to life. In both tone and substance Witsius draws the reader into a deeper understanding of and love for the truths most central to the Christian faith. Sacred Dissertations on the Lord’s Prayer (1 volume): This volume contains more than the title reveals. Prefaced to a 230-page exposition of the Lord’s Prayer, Witsius devotes six chapters to the subject of prayer in general, which he calls the pulse of the renewed soul. His exposition on the Lord’s Prayer is itself a masterpiece. In many instances, the questions grappled with receive greater scriptural and practical clarity from Witsius’ pen than from anything else written to date. Sound biblical exegesis and practical doctrinal substance, this book represents the cream of Reformed theology. 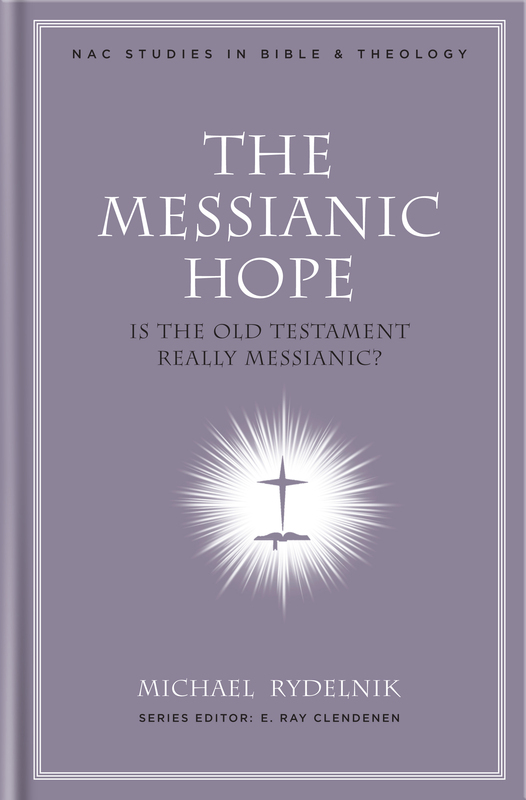 In The Messianic Hope, book eight of the New American Commentary Studies in Bible & Theology series, Jewish Studies professor Michael Rydelnik puts forth a thesis that the Old Testament was intended by its authors to be read as a messianic primer. He explains at length how the text reveals significant direct messianic prophecy when read in its final form. Users will find this topical study an excellent extension of the long-respected New American Commentary series. “Who are these guys?” That was the question the teenage Daniel R. Hyde posed to his father when he first encountered “Reformed” believers. With their unique beliefs and practices, these Christians didn’t fit any of the categories in his mind. Not so many years later, Hyde is now Rev. Daniel R. Hyde, a pastor of a Reformed church. Recognizing that many are on the outside looking in, just as he once was, he wrote Welcome to a Reformed Church: A Guide for Pilgrims to explain what Reformed churches believe and why they structure their life and worship as they do. In layman’s terms, Rev. Hyde sketches the historical roots of the Reformed churches, their scriptural and confessional basis, their key beliefs, and the ways in which those beliefs are put into practice. The result is a roadmap for those encountering the Reformed world for the first time and a primer for those who want to know more about their Reformed heritage. Another set of good choices. I thought Olevianus’ work was simply amazing. It felt to me like an expanded Heidelberg Catechism, and I love the Heidelberg Catechism. Witsius only gets “almost” favorite? Come on. EoC is a magnificent masterpiece. Borg, I 1st read Witsuis Jan. 2007, so it was not as much as a punch, I simply placed it in my top 10 because it was a work that just must be reprinted and was in 2010. Being #7 out of ten ain’t bad.